98 mins. Rated PG-13 for some strong language, thematic elements and sexual references. 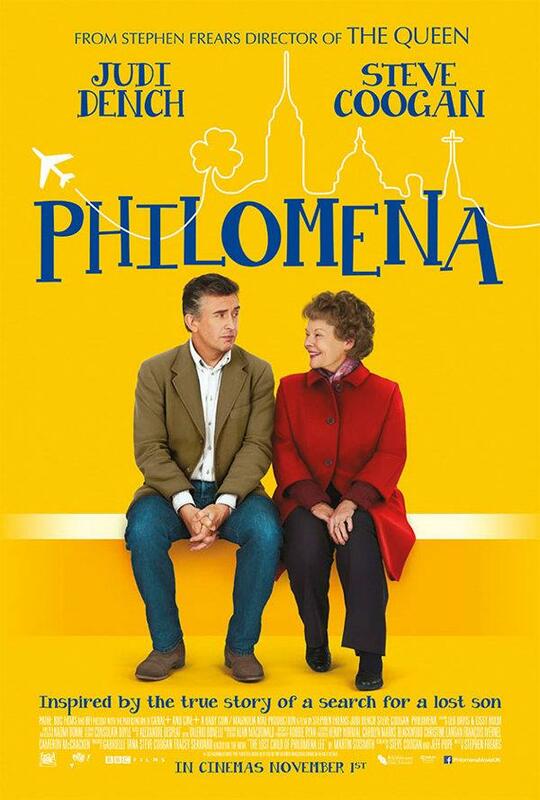 At this point, I’ve seen each of the ten Best Picture nominees from this past year’s Academy Awards, and I will admit this: the surprise win of the year is Philomena, a delightful little film about a woman on a search to find the son she gave up decades previous and the writer looking for a story who joins her. It is a simple premise with an extraordinary path waiting to develop. 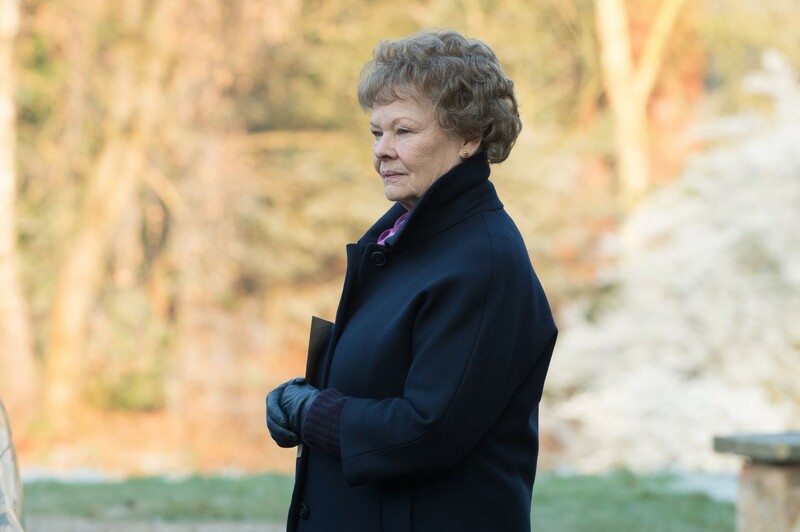 Judi Dench (Skyfall, The Best Exotic Marigold Hotel) is Philomena Lee, and easily deserves the nomination she received for her performance. Her character is equal parts comedic genius and devastating regret. I recall the connection I had with this woman just watching her struggle with maintaining a positive outlook on her often dismal journey. Steve Coogan (Alan Partridge, Despicable Me 2) is Martin Sixsmith, a disgraced writer who takes on Philomena’s life as a possible return to success. Their relationship is what makes this film so magical. The way Philomena views life and the discussions between her and Martin, I could listen to them discuss TV Guide. In fact, there is a sequence in which Philomena explains the plot of a romance novel to Martin, and I couldn’t stop giggling. This is a film with the ability to be both the feel-good movie of the last year and the film to make you reflect on the regrets that you have made. It is thought-provoking, it is beautifully crafted by director Stephen Frears, and it is watchable. Philomena may be one of the most perfect unwatched movies of recent memory. Now why haven’t you watched it?